So you’ve made the switch from white rice to basmati but what if I told you there’s an even better rice you can swap your beloved basmati with? It’s higher in fibre, full of antioxidants and has a delicious nutty strong flavour. The red variety gets its rich colour from an antioxidant called anthocyanins, (found in deep purple or reddish fruits and vegetables). These babies are really really important because this compound is believed to have properties that can reduce inflammation, allergies, prevent risks of cancer and help in weight management. The manganese present helps in strengthening our metabolism and the magnesium (you know I’m big on magnesium especially for us girls) helps with migraine, lowers blood pressure and keeps all our muscles in check, including he heart. Red rice also provides calcium, good for our bones and teeth and plays a big role in preventing arthritis and osteoporosis. And don’t forget Selenium which protects the body against infections. Red rice is also high in fibre content, great for weight loss, keeping our microbes healthy and makes the digestion process slow so we don’t get hungry or raise our insulin too much. Red rice has shown the most promising health results due to the high levels of antioxidants. 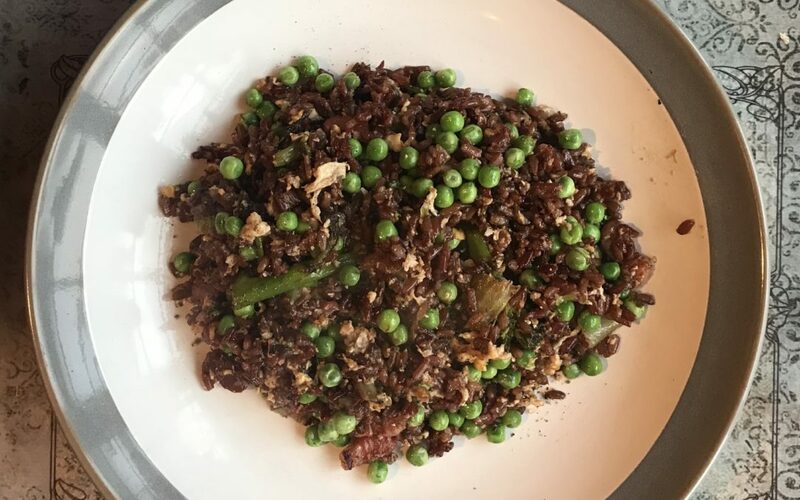 It has 10 times the antioxidants of brown rice, taste yummy and is now my go to rice except for my eggs fried rice because it’s flavour is so wonderful and blush that my fairly plain fried rice gets taken over by it, however we only ever eat that once every few months somred rice is our staple in our house. Try it with goats cheese, feta, pine nuts, rocket, strong curry flavours and anything you like. Experimenting is the key to a healthy appetite!